Sup guys? It’s time for PAX East 2018. If you’re in the Boston area, stop by The Westin (AKA Laugh Boston) beside the Boston Convention & Exhibition Center for some sweet video games! No badge is needed for entry, and the fun begins at 1:30 P.M. E.T. Interact with other fans, developers, and community teams for the love of games. At 3-4 PM ET, they’ll be going over new features and competitive scene expectations from Quake Champions. 4-5 PM ET will see one of The Elder Scrolls Legends top players, Christian Van House, function as the Legends Community Manager. You’ll see Justin Larson and Darick Oswalt for a live version of their continuing TESL Podcast Series. 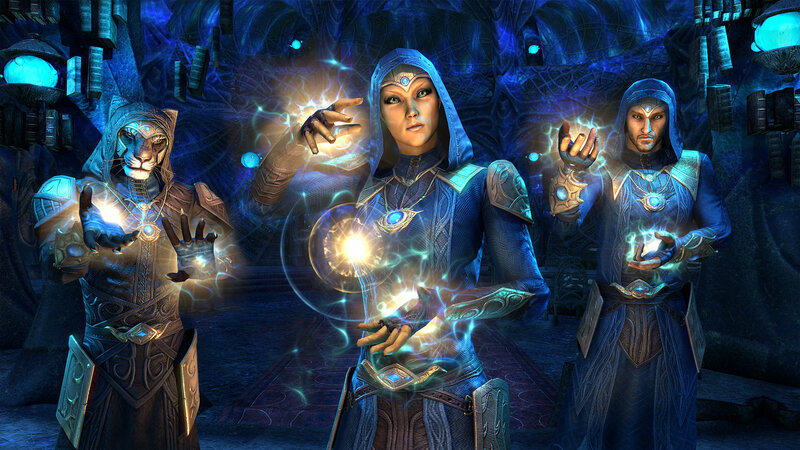 Summerset, ESO’s new chapter, will be showcased in further detail at 5-6 PM ET..
Live streams from Twitch and YouTube will be available for anyone who can’t be there in person. You’ll even get some pretty dope gear whether you’re online or in-person. Only physical attendees can earn Bethesda Gameplay Day t-shirts, Quake Champions Scarves, Legends Gloves, and ESO Beanies. These are the prizes for both online viewers and physical attendees: Customized Nintendo Switch straight from the jacket that BJ Blazkowics wears, Custom-designed Xbox One X and Playstation 4 Pro with a ESO: Summerset skin, TESL: Houses of Morrowind skin iPad, and a pair of Astro A50s.